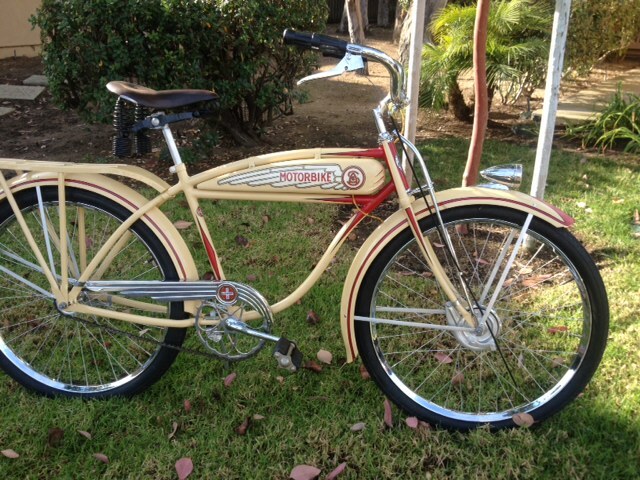 This is my Late 1938 kick back strap Schwinn motorbike. 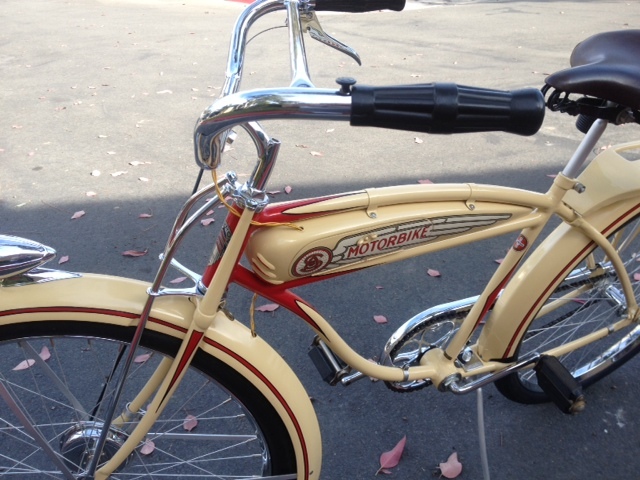 Well I have wanting to do 1 restoration for awhile since all my bikes are OG paint but in a uncommon color. After about 6 months of tracking down an original motorbike in the color I wanted, I was able to find one back east. 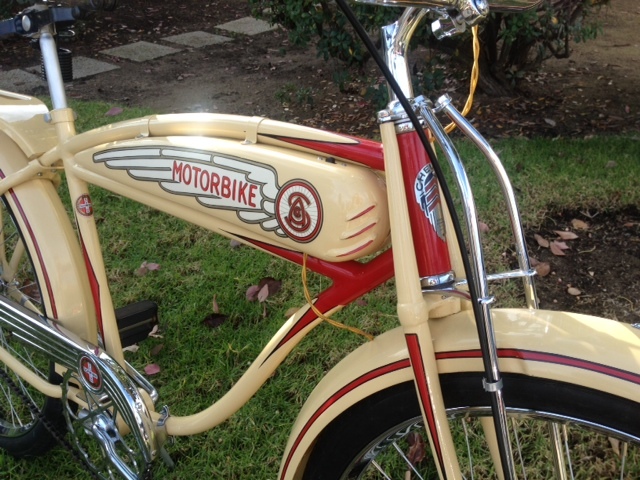 the collector is very underground and not online at all so it took a lot referrals to find the original bike in this color . so I found the same year bike and started from there. I HAVE SEEN AUTOCYCLES WITH ALL THE OPTIONS SO I WANTED TO A FULL DELUXE MOTORBIKE. original late 38/39 kick back strap tank. RESTORATION DONE BY TIM BRANDT.